House Rent Allowance was enhanced in 2008 for the last time and since then there is no increase in HRA. Pay Scales were revised in 2011 but the HRA was frozen at the stage where the employees were already drawing it on the basis of Pay Scales 2008. I am here giving the examples of two Pay Scales employees. 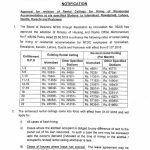 The employees of BPS-01 & BPS-02 are getting average 1350/- as HRA in big cities and Rs. 900/- in other cities. Is is possible for these employees to hire a house on rent in this small amount? In the same way the employees of BPS-11 to BPS-13 are getting average 2000/- as HRA in big cities and Rs. 1300/- in other cities. Can anybody manage a house on rent at this a little amount? The minimum rates for a house to rent in these cities are Rs. 5000/- for a small house. For the purpose of House on Rent these employees are forced to manage the same by cutting the other necessities of daily life. It is the need of the time that Govt should pity on these employees who are getting House Rent Allowance so that they can manage their rental accommodation easily. As you know, Rental Ceiling for Hiring of Residential Accommodation has been increased wef 1st October 2014. It was also increased in 2011. Let’s compare the Hiring of Residential Accommodation Rates and House Rent Allowances for the employees. Just see the chart showing the difference of Rental Ceiling for Hiring of Residential Accommodation & House Rent Allowance. I have read comments of many persons that the rates of accommodation in big cities where Hiring of Residential Accommodation is admissible are so high. They are right the rates of the same are high but I just ask a question, is there no increase in the rates of House on Rent in other areas? Can these employees manage house on rent in just Rs. 1000/- or 2000/-? It is a big question for the Govt. keeping in view the rates of Houses on rent; the Govt should now enhance the rates of House Rent Allowance for all the citizens of Pakistan. My suggestion is that the Govt should enhance the HRA and the minimum rates of HRA must be Rs. 4000/- per month for the employees of lower grade. Now it is your turn to suggest the Rates of House Rent Allowance. Just comment below for your proposals. for employee their is house rent ceiling allowance (house rent subsidy) but on the other hand this is income for owner of the house. in such case question arise here that if Federal Government employee acquire the house of some one else and the amount of house rent subsidy / house rent ceiling allowance credited to the account of the owner of the house then for the employee this will be the subsidy but for the owner this would be the income which is directly coming from his property. so the tax will be charged to the owner of the house or not on account of receiving such amount of house rent subsidy / house rent ceiling allowance? The request for the enhancement of HRA to the Government employees is very genuine and valid. Since last 10 years employees are getting the same allowance where as rate of rents of houses have increased many times. Government must consider that it is impossible to take a house or even single accommodation in these days on this House Rent. Authorities must considered it on the facts and truth. My proposal is that HRA should be equal to 85% of initial basic pay of employee to meet the expenditure of rental house. Lot of different rates of house rent allowances in the Govt: Semi Govt. Autonomous bodies, Corporations and Universities are existing. They have been allowed 100% house rent allowance of their basic pay but the Federal Govt and Provincial Govts have been frozen house rent allowance in 2008. Nine years passed but the employees are suffering badly. Every Finance Minister says that "khazana khali he" but on the other hand the privileged groups are granting huge amounts in their salaries and allowances likes Ministers, Advisors, N.A. and P.A. Members etc. etc. It is proposed that the Prime Minister of Pakistan and Federal Finance Minister to kindly consider this long outstanding issue and adopt one policy through the country. I have been appointed in Minsitry of Defence on BPS-17 in Jan 2016. Now I want to know that Whether I am eligible for Rental Ceiling allowonce. Kindly guide me about this matter and porvide me the copy of the rule for this said purpose. 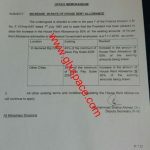 Civil secertariate aur tamam attache departments ke same allowances hone zarori hain iss se mulazein ki apas ki nafratein khatam hongi aur office work thekh chale ga.
Dear Rizwan Ahmad still the FG has not issued the Notification for M.Phil Allowance. Dear Shumaila, This may be irrelevant to the topic. But i see no confirm option to ask this from any other resource. 1. 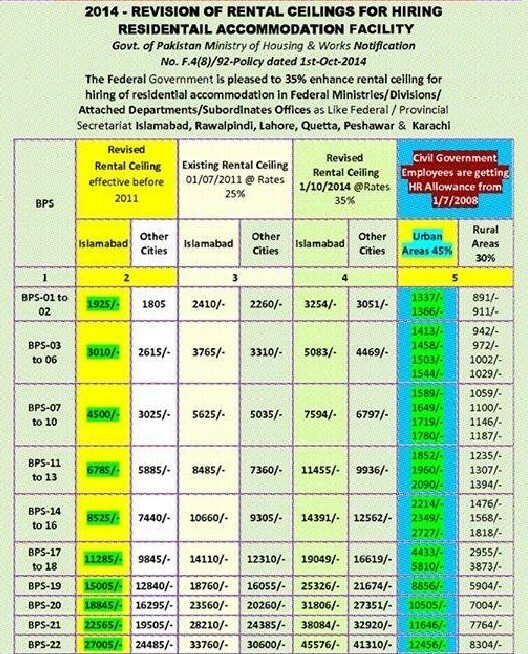 Is this a demand/possibility (to merge the allowances in basic n to increase HRA) for federal employees only? 2. What about the contractual employees such as NPIW-Sindh for getting this benefit? 3. (The most irrelevant) How long will it take to get our jobs (NPIW-Sindh Employees) regularized? Dear Zulfiqar Ali Mari sorry me not confirm. As year budget main kitni salary increase hony ka chance hy? Dear Ghulam Abbas there are chances and hope for the best. madam , upgrdation pr jo pre-mature increment ka notification federal government ki janab sey kia gaya tha wo punjab government ney bhi implement kia hai k nahi???? Dear muhammad nawaz it is not for the Punjab Govt Employees. Humaray mulk main double standard hay kuch to seeling or kisi or house rent detay hain. kuch to mazay kar rahay hain or kuch bhot muskal say guzara kar rahay hay. Meri tamam employees say guzarash hay k wo sb Government ko is bat par agree karay k wo house rent ki jaga federal employees ki tara seeling kia karay tab hi yeh masla solve ho sakta hay. or Government jitnay Adhoc hain un ko basic main marge karay. Ta k government employees k halat b kuch betar hon. Warna to government salary say to bhot muskal hay guzara..................... Is liey sab employees ak hi apna point of view rakhay k humen government Seeling de na k House Rent. Dear Madam thanks for nice work for employee. My suggestion is that HRA should be equal to running basic pay. Because its very hard to hire a house in Islamabad city within running HRA. Dear sister I appreciate your sympathetic suggestion, absolutely GOVT should implement this suggestion. Dear Sarfraz it was a false news there is no truth about the increase in Medical Allowance. You are absolutely right.HRA should be increased to 45 % of 2011 revised basic pay and it should not be frozen till the prices in the market are not frozen.I am serving as Assistant professor BPS-18.My existing HRA is 3873 where as I am paying 9000/ rent.Can I get a house on rent at the cost of my house rent allowance(Rs. 3873/=)????? present HRA cannot be justified. it is just enough to hire a single room with attached bath only. house for family cannot be hired in this amount. 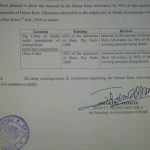 So, HRA should be given according to market rates. Agree with u sister.. Hra shud b basic pay .. But hw v can reach government for its implementation?? Dear Hadi I hope Govt will implement the same in the next budget. Dear Hadi Thanks. actual position to us waqat clear hogi jab yeh increase hoga. dear madam i think we should challenge this matter before the court of LHC and Ombudsman Punjab. Ye sab batein toh ho gai abb ye bhi discuss kia jaye ke government ko kesay razi kia jaye ya phir force kia jaye aur un tak ye masage ponchay ga kesay??? Saqib you right. Madam next year scale revised honey ki koi umeed ha. Dear Ansar there are chances for the revise of pay scales next year. my suggestion is that house rent should be initial basic pay of every grade.which is as under. Dear Lal Kumar, it is also a good suggestion. DEAR SHUMAILA HOW CAN WE ALL FORWARD OUR DEMAND TO HIGHER AUTHORITIES.PLEASE PREPARE A PROFORMA AND TAKE IT ON UR SITE AND REQUEST ALL READERS TO FILL IT AND SEND TO HIGHER AUTHORITIES. Dear Syed Saleem you are eligible for two increments. 100% agree with u sis.. Yes Dear Asif there are chances. im agri engineer PBS 17 in Agri engg dptt balochistan, our promotions r on seniority base,my position is 36th out of 220 engineers. Is it legal to promote the engineers on seniority base? Dear Naveed mujhay confirm nahin hay. Medam, Shumaila Kamal, mujhe aap Notification ki copy den jis men Daily Allowance, TA, DA Allowance & Other Allowances hen Govt: of Sindh ka, 2008 ke baad ka ho 2011, 2012 ya 2013 ka ho. nice efforts madam, thanks for that. ya i agreed that house rent must be equal initial basic pay of 2011. but we can not expect from this govt. Res Madam nice to read the above article. 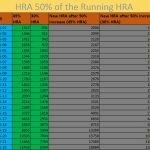 Good efforts but I would like to add that as a first step the HRA may be @45% of initial pay of respective BPS of 2011 and it may not frozen and may be co-linked with revision of scales. As the current hiring rates are not commensurate with the actual rates of hiring a three/two room house in civil areas. My suggestion is that HRA may always be reviewed on annual basis and in civil the owner used to increase the rent almost after year. But it does not include the Govt Hired/Personal Hired hours which have been contracted with certain terms and conditions. Therefore the above suggestion proposes a mediocre increase and may be considered at appropriate level. Similar revision of BPS is also due in NFY hence HRA may also be revised by the Govt accordingly to minimize the financial hardship of Govt employees. This is a good idea for the lower grade employee and high icrease of costliness in the country govt accept your suggestions. my suggestion is house rent should be equal to House Assesment allowance or equal to the initial basic pay for all employees. Yes, I also agree with this suggestion and also requesting to the Government for approval. good work but we should raise our voice at every level/forum to materialize Revised HRA. 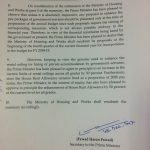 Rental ceiling facility/Acquiring of house neither available to punjab govt employees nor to other provincial govts. where to visit for latest information? what is the policy about promotion/up gradation of those employees who have 3rd division qualification at any level? please provide the copy of rules in this regard. Dear Mubashar, every Department has its own rulings. Its a good suggestion. I really appriciated your work. Welcome dear Shafiq and Thanks all for commenting. Thanks 4 the positive effort... I pray 4 the best..
any person relating to AG offICE can tell me is rental ceiling rates for acquiring house available to punjab govt employee? 1-your suggestions are absolutely correct, I think House Rent should have been approved @ 50% of initial Basic of Pay Scales-2011 for all the employees in all over Pakistan. 2- In some departments Rental Ceiling being paid with salary and it is part of salary but most of the departments paying it directly to the Owner which cause increasing trend of Rent as well as enhance the work of Admin sections and Payment sections (Regarding preparation of Lease agreements/preparation of Rent bills & Cheques. 3-In the recent Notification of Rental Ceiling two Cities "HYDERABAD & MUZAFFARABAD(AJK) not included whereas some other cities like "FAISALABAD, MULTAN, BAHAWALPUR, GUJRANWALA, SUKKUR, LARKANA, NAWABSHAH, ABOTTABAD, MARDAN, NOSHEHRA (and so many) should have been included in this category. 4-My proposal is that Rental Ceiling should be the part of salary. well, suggestions are never bad. But think abt its impact on national exchequer. Ms. Shumaila your suggestions are absolutely correct, any of the both suggestions may strongly be recommended to be increased. otherwise, government needed to keep the announced rental ceiling / increased (RC) rates as common house rent (HR) in flat (same level) amount for all the employees in all over Pakistan by avoiding the rental ceiling or any other discrimination. 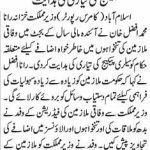 Your suggestion and proposal is good for all civilian employees.But i think poor govt will not give any amount on house rent . We are agree with you. But ye govt sirf apny aur currept institutions k allowance increase to or skti hy. Kisi dosray servant k munh ka nivala to chheen skti hy but kuch deny k mood mein nhi lgti. I think it is legal right of low grade employees & Government should take notice on priority basis.